Home Guide JWA: VIP Membership – Is it worth it? JWA: VIP Membership – Is it worth it? First of all, VIP membership is not mandatory to play JWA, unlike some of you may think. In addition to offering players the option of purchasing in-game items with real money, Ludia is providing players the option to subscribe to a monthly VIP membership. This membership provides exclusive in-game items and bonuses to facilitate your progression through the game. The VIP subscription is currently offered at a monthly rate of US $9.99/CAD $12.99. The membership will auto-renew itself unless you cancel it prior to the renewal date which is provided to you by Ludia via email. In this article, we will go through the perks of the VIP subscription and provide you with our insight to determine whether or not it’s worth the money. Increased Drone Launch Range Maximum range distance to launch the drone is increased from 150 meters to 200 meters. In short, yes it is definitely worth it if you can spare it on a monthly basis. The Epic Incubator alone is more than 50% off with the VIP membership. Plus, considering that the price for Incubators increases as you level-up, VIP is certainly worth it if you wish to purchase one Epic Incubator alone. At least for 1 month in order to obtain the Epic Incubator. Furthermore, the increase of distance and battery life combined together certainly make the collecting of DNA easier. On average, we were able to gather around 100 DNA per collection sequence (before VIP), but we are now able to gather around 150 DNA and sometimes up to 200 DNA with the VIP bonuses. Considering how some Dinosaurs are rare, it certainly facilitates the fusion of some Dinosaurs that you will encounter once a week! As for hard-cash, the odds of receiving hard-cash through Supply Drops is increased. Although it doesn’t make up for the amount of money that you have invested into the game for the VIP membership, it certainly helps to make some small purchases or open an incubator early! In terms of Coins, the VIP membership increases your daily cap of coins as per below. Basically, the membership doubles your daily coins’ cap. Finally, below are the details as provided by Ludia. We strongly recommend going through it before going forward and subscribing. As we previously, mentioned, we do believe that the VIP membership is worth it, provided that you are willing and financially capable of sparing the money. If you believe that this makes the game “Pay2Win”, all we can say is: “What makes you win the game?” Just like Pokémon GO, JWA has a very wide range of areas where a player can decide to perform, and without a ranking system in place, no one is really winning. The membership will merely facilitate your progression in the game. What do you think? Let us know below and make sure to join the discussion on the MetaHub Discord server here! I have a question, so if i decide to buy VIP and get the incubator and the perks of being a VIP, can i cancel the membership right away after i bought it and still have VIP for a month…? yes, u still have vip for a month after u cancel it immediately. Do you get the incubator every month? 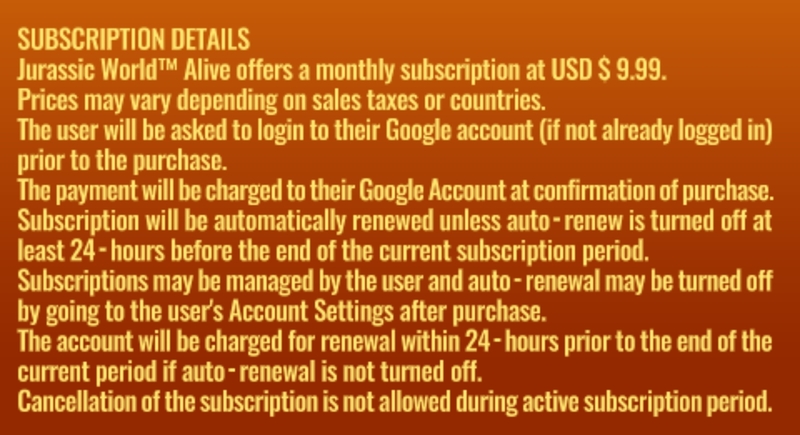 In the picture of the subscription details the bottom line states, Cancellation of the subscription is not allowed during active subscription period. What does this mean sir? Also sorry to repeat but do we get the incubator every month or is it a one time thing? Thanks for any help you can provide others and, myself. This is out of date. The coin cap is the same for everyone. The difference is you only get half the coins, darts and hard cash from drops. I dropped VIP so I don’t hit the max every day like I use to but find that with the strike towers, I can progress just fine with a little patients.